Studies have produced conflicting results assessing hyperhomocysteinemia (HYH) treatment with B vitamins in patients with normal cognition, Alzheimer’s disease and related disorders (ADRD). This study examined the effect of HYH management with L-methylfolate (LMF), methylcobalamin (MeCbl; B12), and N-acetyl-cysteine (CFLN: Cerefolin®/Cerefolin-NAC®) on cognitive decline. Prospective, case-control study of subjects followed longitudinally. Outpatient clinic for cognitive disorders. 116 ADRD patients (34 with HYH, 82 with No-HYH) met inclusion and exclusion criteria to participate. No study participant took B vitamins. HYH patients received CFLN, and No-HYH patients did not. Cognitive outcome measures included MCI Screen (memory), CERAD Drawings (constructional praxis), Ishihara Number Naming (object recognition), Trails A and B (executive function), and F-A-S test (verbal fluency). Dependent or predictor measures included demographics, functional severity, CFLN and no CFLN treatment duration, ADRD diagnosis, memantine and cholinesterase inhibitor treatment. Linear mixed effects models with covariate adjustment were used to evaluate rate of change on cognitive outcomes. The duration of CFLN treatment, compared to an equivalent duration without CFLN treatment, significantly slowed decline in learning and memory, constructional praxis, and visual-spatial executive function (Trails B). CFLN treatment slowed cognitive decline significantly more for patients with milder baseline severity. CFLN treatment effect increased as baseline functional severity decreased. The analytical model showed that treatment duration must exceed some minimum period of at least one year to slow the rate of cognitive decline. 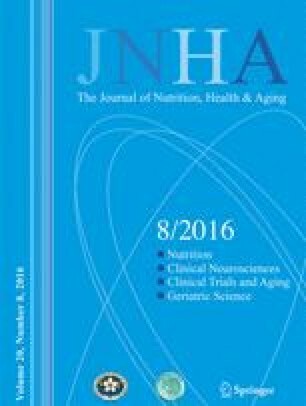 After covariate adjustment, HYH+CFLN significantly slowed cognitive decline compared to No-HYH+No-CFLN. Longer CFLN treatment duration, milder baseline severity, and magnitude of homocysteine reduction from baseline were all significant predictors. There are a number of factors that could account for disagreement with other clinical trials of B vitamin treatment of HYH. Moreover, CFLN is chemically distinct from commonly used B vitamins as both LMF and MeCbl are the fully reduced and bioactive functional forms; CLFN also contains the glutathione precursor, N-acetyl-cysteine. The findings of other B vitamin trials of HYH can, therefore, only partly account for treatment effects of CFLN. These findings warrant further evaluation with a randomized, placebo-controlled trial.